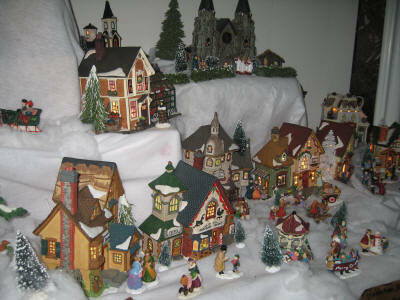 This isn’t an ornament, it’s my homemade town that I create in different parts of my home each Christmas. The houses and people are purchased but I create their village, created the river with rock bed, tunnel for sleigh riders, some of the trees, etc. I thought you might like to share other types of Christmas art forms your members do. I do this every year.